Incoming Iowa Rotary club presidents in District 5970 celebrated their organization’s dedication to the worldwide eradication of polio with a $2,000 gift to The Rotary Foundation’s End Polio Now campaign. 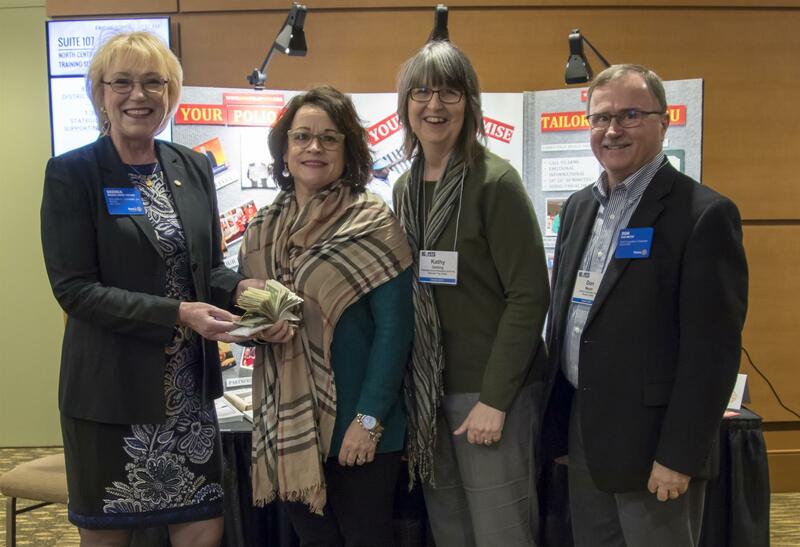 The presidents-elect, who take office in July, contributed the funds during a recent training seminar in Rochester, Minnesota. Their contribution will be matched 2 for 1 by the Bill and Melinda Gates Foundation for a total of $6,000 toward the eradication of polio. Brenda Cressey, vice chair of the Rotary Foundation Trustees, left, accepts gifts totaling $2,000 for the eradication of polio from Lisa Pritchard, Cedar Rapids Daybreak Rotary Club, and Kathy Getting, Webster City Rotary Club. Don Meyer of Waverly, right, is District 5970’s 2018 Foundation Team leader. The district Rotary club presidents-elect donated the funds, which will be matched 2 for 1 by the Bill and Melinda Gates Foundation. 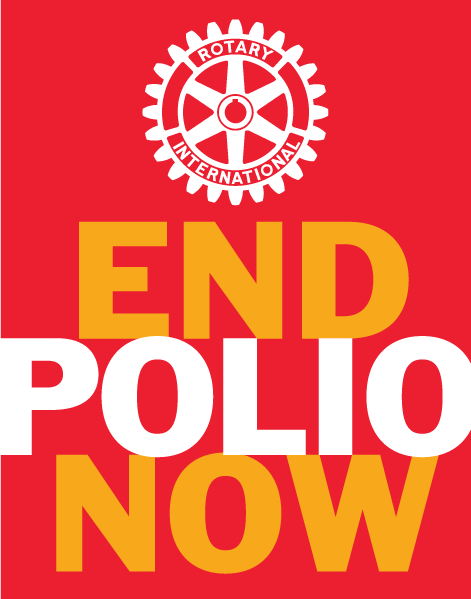 Neil Fell of Garner, District Governor-Elect, said the $6,000 raised by the 2018-19 Rotary Club presidents and the Gates Foundation match will insure that 2,000 children will never suffer from polio. He said the gift is a fitting way to celebrate World Immunization Week, April 23-30, recognizing the role Rotarians have played as volunteers in National Immunization Days throughout the world and in providing funds for the End Polio Now effort. “When you can be part of a project that is a real game changer like polio eradication, it inspires and motivates us to do more and think bigger,” added Kathy Getting, president-elect of the Webster City Rotary Club.